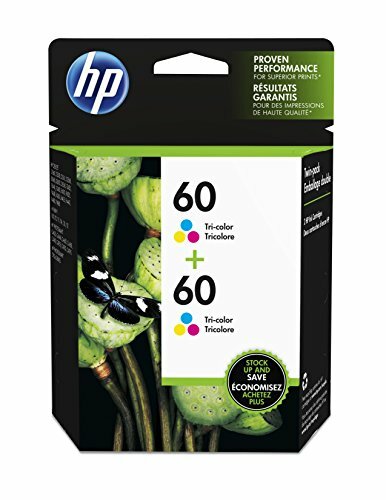 HP 60 Black & Tri-Color Original Ink Cartridges, 2 Cartridges (CC640WN, CC643WN). HP 60 ink cartridges work with: HP Deskjet D2530, D2545, F2430, F4224, F4440, F4480. HP ENVY 100, 110, 111, 114, 120. HP Photosmart C4640, C4650, C4680, C4780, C4795, D110. Cartridge yield (approx.) per cartridge: 200 pages black, 165 pages tri-color. Up to 2x more prints with Original HP ink vs refill cartridges. Original HP ink cartridges are specially designed to work with your printer to consistently deliver standout results throughout the life of your cartridge. Ensure that your printing is right the first time and every time with HP printer ink: 60 ink. What's in the box: New Original HP 60 ink cartridges (N9H63FN) Colors: Black, tri-color. 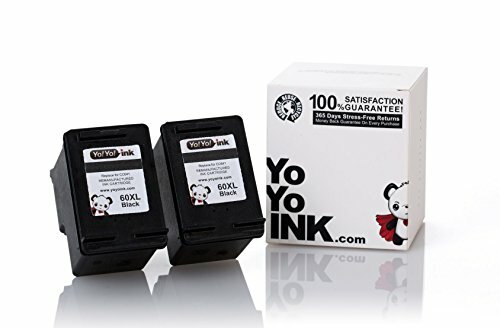 HP 60XL Black High Yield Original Ink Cartridge (CC641WN). HP 60 ink cartridges work with: HP Deskjet D2530, D2545, F2430, F4224, F4440, F4480. HP ENVY 100, 110, 111, 114, 120. HP Photosmart C4640, C4650, C4680, C4780, C4795, D110. Cartridge yield (approx. ): 600 pages. Get up to 2X the pages with Original HP XL ink cartridges compared to standard cartridges. Original HP ink cartridges are specially designed to work with your printer to consistently deliver standout results throughout the life of your cartridge. Ensure that your printing is right the first time and every time with HP printer ink: 60 ink. 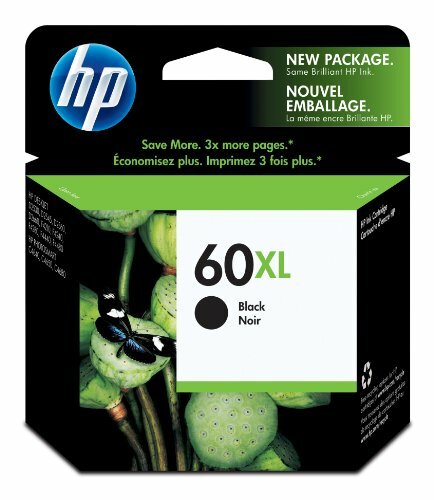 What's in the box: New Original HP 60XL ink cartridge (CC641WN) Color: Black. HP 60 Black Original Ink Cartridge (CC640WN), 2 Cartridges (CZ071FN). HP 60 ink cartridges work with: HP Deskjet D2530, D2545, F2430, F4224, F4440, F4480. HP ENVY 100, 110, 111, 114, 120. HP Photosmart C4640, C4650, C4680, C4780, C4795, D110. Cartridge yield (approx.) per cartridge: 200 pages. Up to 2x more prints with Original HP ink vs refill cartridges. Original HP ink cartridges are specially designed to work with your printer to consistently deliver standout results throughout the life of your cartridge. Ensure that your printing is right the first time and every time with HP printer ink: 60 ink. What's in the box: New Original HP 60 ink cartridges (CZ071FN) Color: Black. 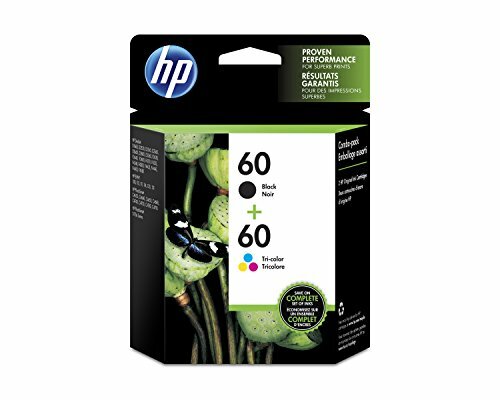 HP 60XL Tri-color High Yield Original Ink Cartridge (CC644WN). HP 60 ink cartridges work with: HP Deskjet D2530, D2545, F2430, F4224, F4440, F4480. HP ENVY 100, 110, 111, 114, 120. HP Photosmart C4640, C4650, C4680, C4780, C4795, D110. Cartridge yield (approx. ): 440 pages. Get up to 2X the pages with Original HP XL ink cartridges compared to standard cartridges. Original HP ink cartridges are specially designed to work with your printer to consistently deliver standout results throughout the life of your cartridge. Ensure that your printing is right the first time and every time with HP printer ink: 60 ink. 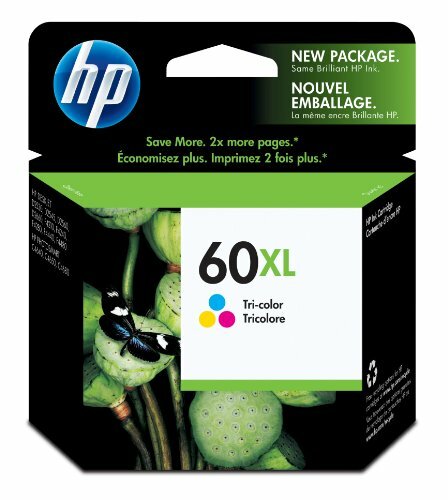 What's in the box: New Original HP 60XL ink cartridge (CC644WN) Color: Tri-color. For the following printers: PhotoSmart A612, PhotoSmart A618, PhotoSmart A536, PhotoSmart A636, PhotoSmart A310, PhotoSmart A520, PhotoSmart A826, PhotoSmart A626, PhotoSmart A526, PhotoSmart A532, PhotoSmart A512, PhotoSmart A717, PhotoSmart A441, PhotoSmart A444, PhotoSmart A440, PhotoSmart A320, PhotoSmart A820, PhotoSmart A627, PhotoSmart A522, PhotoSmart A616, PhotoSmart A516, PhotoSmart A628, PhotoSmart A510, PhotoSmart A637, PhotoSmart A617, PhotoSmart A610, PhotoSmart A828, PhotoSmart A712, PhotoSmart A622, PhotoSmart A446, PhotoSmart A445, PhotoSmart A442, PhotoSmart A716, PhotoSmart A436, PhotoSmart A434, PhotoSmart A433, PhotoSmart A432, PhotoSmart A827, PhotoSmart A646, PhotoSmart A640, PhotoSmart A630, PhotoSmart A620, PhotoSmart A522xi, PhotoSmart A448, PhotoSmart A447, PhotoSmart A316, PhotoSmart A314, PhotoSmart A311, PhotoSmart A710, PhotoSmart A430. 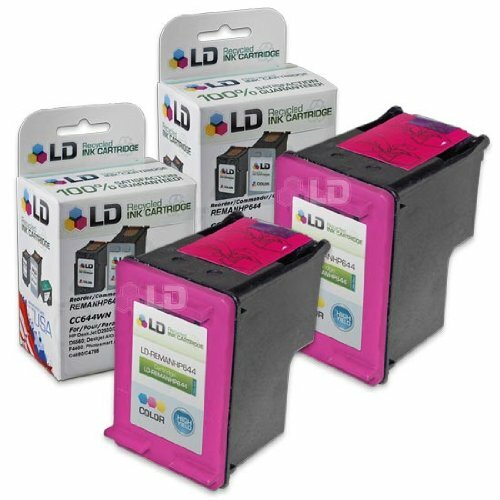 Our remanufactured ink cartridges are not remanufactured by HP. 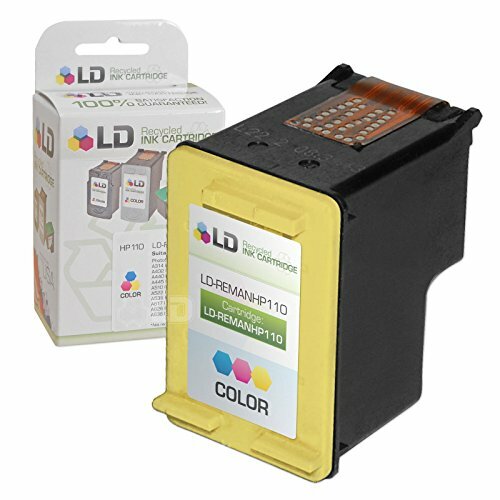 We offer a One-Year 100% Quality Satisfaction Guarantee on our remanufactured ink cartridges. 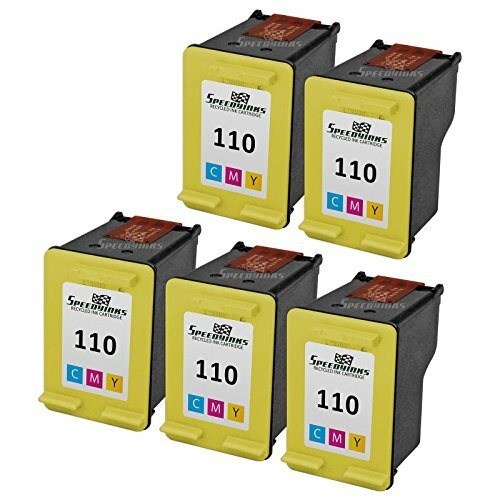 HP 60 Tri-color Original Ink Cartridge (CC643WN), 2 Cartridges (CZ072FN). HP 60 ink cartridges work with: HP Deskjet D2530, D2545, F2430, F4224, F4440, F4480. HP ENVY 100, 110, 111, 114, 120. HP Photosmart C4640, C4650, C4680, C4780, C4795, D110. Cartridge yield (approx.) per cartridge: 165 pages. Up to 2x more prints with Original HP ink vs refill cartridges. Original HP ink cartridges are specially designed to work with your printer to consistently deliver standout results throughout the life of your cartridge. Ensure that your printing is right the first time and every time with HP printer ink: 60 ink. What's in the box: New Original HP 60 ink cartridges (CZ072FN) Color: Tri-Color. 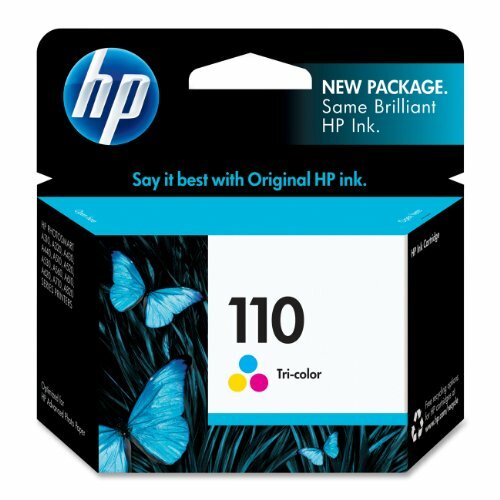 Compare prices on Hp Printer Cartridges 110 at ShoppinGent.com – use promo codes and coupons for best offers and deals. Start smart buying with ShoppinGent.com right now and choose your golden price on every purchase.